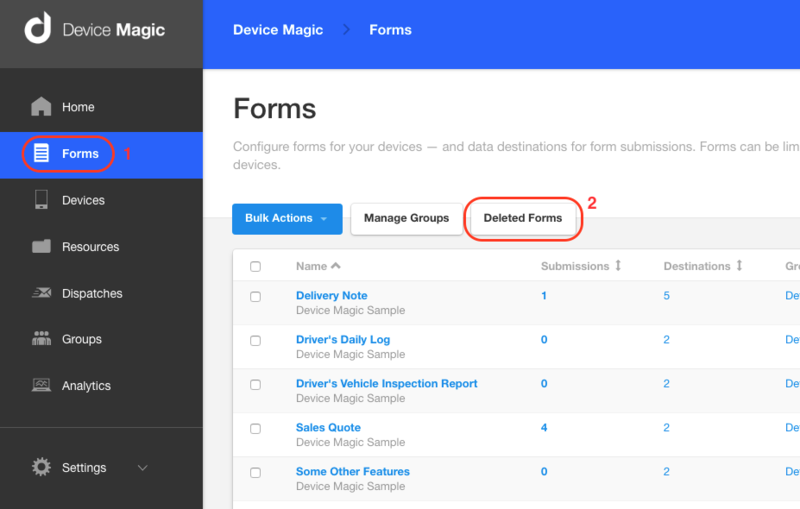 We have added the option to restore deleted forms because we know accidents happen. Go to your forms list and then click "Deleted Forms". Find the form you want to restore, navigate to the right hand side of the form and click the restore button. 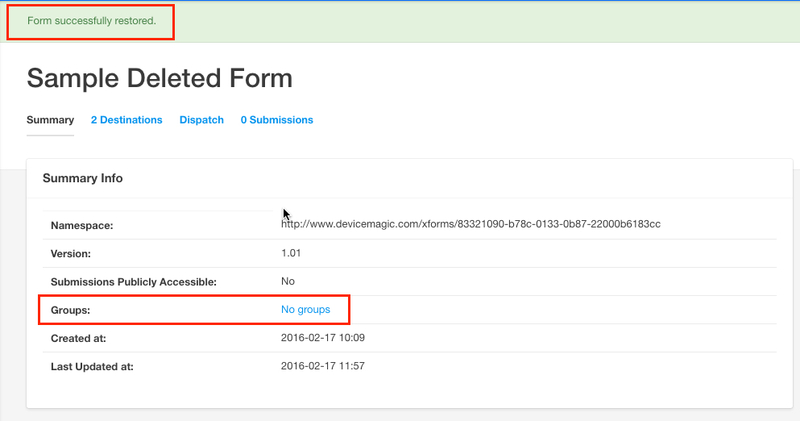 Once the form is restored, it will redirect you to the summary page of the restored form. Note: The form does not belong to any group and will have to be reassigned to the groups it belonged to, if any. This concludes the overview for restoring a deleted form.